Black Friday & Cyber Monday are great times to get great deals you use to buy Christmas gifts for your family and friends – but it’s also a great time to get a good deal for yourself so you can start your own blog or website! There are a lot of web hosts that are offering great Black Friday & Cyber Monday sales, so if you have always wanted to start your own blog or make a website for a business you’ve always wanted to start, now is a great time! What It Is: If you decide to use a WordPress website, then you’ll want to buy Themes & Plugins (I go into more detail about this in this WordPress blog entry). Envato is a great place to go to buy these themes & plugins. You can also get other great items for sale that can make your website or blog better, such as video & stock footage, graphic templates and audio & sound. What It Is: Rebel offers great affordable hosting options, domain name registrations, etc. What It Is: Liquid Web is another high quality web host offering a variety of hosting solutions for websites and blgos. What It Is: UK2 Group is another great web host that also does domain registration, web design, etc. 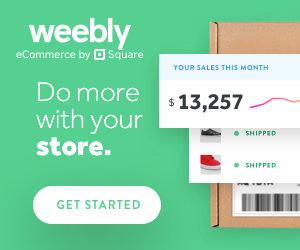 What It Is: Weebly is a great web host for beginners & people wanting a blog or website who don’t have computer programming background. They have a lot of drag & drop tools that make running & designing a website a lot easier. Keep checking during Cyber Week for more great web hosting & product deals we will be adding to this page!